Born 12 August 1881 in Ashfield, Massachusetts, USA. Died 21 January 1959 in Hollywood, California, USA. Brother of writer and director William C. de Mille. Married stage actress Constance Adams. 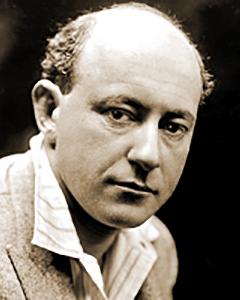 Cecil B. DeMille was born into the entertainment business, being the son of Episcopal lay minister and part-time playwright Henry Churchill de Mille and Matilda Beatrice Samuel. As an adult, he pursured a number of interests and positions in the theatre, including as a writer, actor and producer. His success had been at best negligible when, in late 1913, he began in the film industry with the newly-formed Jesse L. Lasky Feature Play Company, Incorporated. References: Birchard-DeMille pp. 1-2, 363.